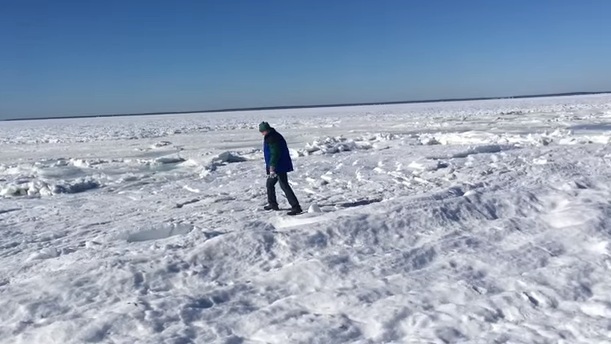 The inhabitant of Massachusetts (USA) Ryan Candy has removed on video the ocean frozen by frosts. “Who wants to swim?” – the author asks the video from friends. According to him, at the time of shooting, the air temperature dropped to -20 degrees. On average, the temperature in the state does not drop below -8 degrees in winter. Separately, Candy published a video shot from the drone.